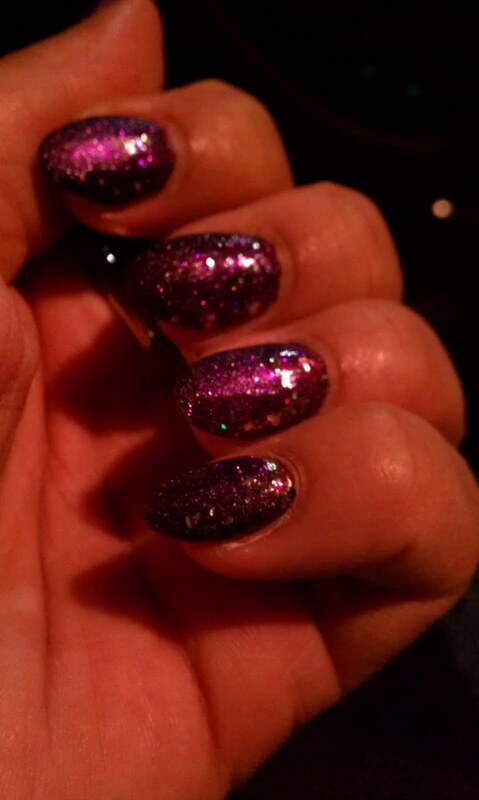 I love my nails at night...The dim light catches each sparkle and makes it shine brightly against the darkness. Purpley goodness! Sparkalicious! I used a few coats of Nubar's Violet Sparkle and accented each nail with Spoiled's Jewelry Heist.